I got an email this weekend from a young woman by the name of Tess Glinert. She’s 16 years old and now in recovery from anorexia. She recorded this very moving song–(it’s her first recording!) all about her recovery. Please do support Tess. I think she’s incredibly brave not only to recover but to put herself out there like this and to give a message of hope to everyone out there trying to recover. You are awesome Tess! So glad you reached out. 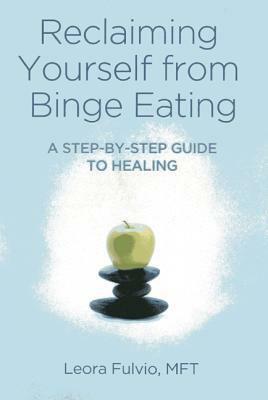 Leora Fulvio takes the mystery out of binge eating in her wonderful new book, Reclaiming Yourself From Binge Eating: A Step-by-Step Guide to Healing and offers practical and caring information about how to end this destructive way of living. Kind and thoroughly practical, Reclaiming Yourself from Binge Eating is readable, engaging and eye opening. Fulvio obviously cares about people who binge eat and covers the territory so well that anyone who binge eats will find her way of eating, thinking and feeling somewhere in these amazingly helpful pages. Throughout this friendly and honest book Fulvio offers clear cut and practical methods to address binge eating episodes and vulnerabilities that can often elude the thinking of a person who binge eats. She does this with a series of question and answer situations that help an individual find her own answers, answers that empower her in ways that she needs to gain her freedom. binge eating is a filter that blocks healthy and honest messages from body to mind. Learning this allows the reader to embrace the healing steps Fulvio defines clearly, directly and with compassion. She shows the reader that removing the eating disorder filter is crucial for recovery. Moreover, she gives an excellent description of how to define healthy eating in a way that makes it approachable and manageable. She is kind and reasonable when exploring healthy size and shape, introducing the reader to self respect and showing her that she can free herself of stereotypes and be the woman she is. I especially enjoy the questions Fulvio offers to deal with questionable behavior. For example, a person with a tendency to people please may not know she is sacrificing her needs for someone else. The questions: “Will I feel resentful if I say, ‘yes’?” “Will I feel guilty if I say, ‘no’?” are a clear and concise way of recognizing motives. Again Fulvio shows the reader that she has a choice. Her description of many different styles of binge eating helps the reader find and recognize herself and her behaviors. Again and continually, Fulvio shows you a problem and how to resolve it. I appreciate her style of being comprehensive in looking at binge eating behavior and always offering ways to understand and resolve troublesome feelings and actions. This approach will help readers feel appreciated and understood. This is key because when a person feels genuinely understood she is more likely to accept and explore the healing path that is presented. This is true in face to face psychotherapy as well, and Fulvio understands this need. Her first exercise, finding your inner core and wise voice by being still with your hand over your heart, is simple, non threatening and lovely. It’s a way to begin to love and respect your body, move into a mindfulness state, recognize body messages and discover emotions all at the same time. Fulvio shows caring wisdom in presenting this exercise to the reader first. Developing the habit of creating challenge statements and responding is an excellent way to interrupt the eating disorder filter. Writing both the challenge and the response when a binge urge looms is an intervention I will introduce in my practice. The description and detailed explanation of how diets fail a person who wants to lose weight, how they trigger binges, how they contribute to weight gain and how difficult it is for people to understand this is engaging, helpful, personal and vital for a binge eater to understand. Bringing clarity to the false promises of diets is a valuable part of this book. It is one of the precious gifts the author gives to the community of people who want to lose weight yet follow quick weight loss diets and programs that only result, after initial weight loss, in weight gain. She clearly confronts the fantasy that diets help a person lose weight. She directly addresses the false beliefs and self criticism that are often in the mind of a woman who has lost weight in the past by following diets. Describing various kinds of triggers: emotional, physical, geographical and going into detail about bewildering triggers such as feeling too full and bingeing on top of a full stomach will help the reader find herself in the pages and encourage her to work the alternative action log Fulvio offers. Her chapter on food where she describes what food is, what foods are needed for a healthy life, how to know what to eat and how to choose what you need without triggering a binge is sure to be a gift to many who have been lost in binges and need a gentle, informed and non triggering education in how to effectively nourish themselves. She then shows you how to begin eating three meals a day – a particular challenge for people who eat throughout the day or for people who skip meals only to binge out of sustained deprivation. This section is a challenge, but her gentleness and practical attitude allows the reader freedom to choose, stumble, regain her footing and discover what works best for her. She offers many useful and engaging exercises to build strength and awareness, particularly mindfulness exercises that help a person make healthy intuitive choices. I was particularly interested in her approach to dealing with Night Eating Disorder. I think many people with NES will find help and hope from what she says. Her chapter on relapse is honest, practical and reassuring. She offers a list of probing questions to ask during or after a relapse incident that, I believe, will help a person regain her footing, avoid dangerous self-incrimination and be stronger for the experience. Reclaiming Yourself from Binge Eating is a gift to people who binge eat, want to stop and don’t know how. Fulvio knows how to stop and to heal and how to reclaim personhood through health and freedom. I highly recommend this book. 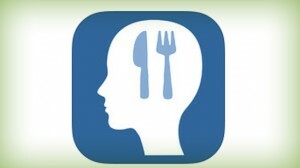 I’ve just been introduced to a new app that is designed to help people stop binge eating. It’s really pretty amazing. I’m quite impressed- and only a little bit jealous that I didn’t design it. It’s called Before I Eat. It was designed by Alen Standish who runs QuitBingeEating.com. I really love this app because it’s just so full of amazing tools. It’s obvious to me that it was designed with a great deal of integrity and with amazing intention behind it. I think it can really help a lot of people. Basically, what it is, is a toolkit in your pocket to prevent you from acting out with food. Because it’s on your phone, it’s always with you. There are so many different interventions that can help when you are about to act out inappropriately with food. You can do deep breathing, you can journal, you can try to understand what is underneath your desire to binge, you can talk to someone who’s been there… but sometimes you’re out, you’re in a grocery food store and there is your binge food and you might just feel powerless. This app is meant to give you something in your pocket that you can take out in that very moment that you are about to binge and help you to stop and regain yourself so that you can make a more balanced choice. One of the great things that having this does is to help you to interrupt the compulsion to binge. Once you interrupt the compulsion– that crazy force that makes the binge feel as though it’s bigger than you are, then you are not stuck underneath it. That can then lead you to feel bigger than the urge to binge eat, which is ultimately going to lead you away from the binge. My one caveat would be that this app is not appropriate for those who suffer from undereating, anorexia, or a restriction cycles. Friday (Er- I mean Sunday) Q&A- I can’t stop bingeing- No Matter what I try! As I said previously, I’m catching up on several months of questions. I’ve got two babies at home (one very new and one a young toddler) and my new book will be released in less than 3 weeks, so that’s been taking up any second I have that’s not either nursing a baby or chasing a toddler around. And so all of these things together have made it difficult to answer my Friday Q & As very swiftly. That being said, I’ve not forgotten any of you and if your question is in my queue, it will get answered. Please feel free to send anymore questions. Hello, my name is Elisa and I believe I suffer from the Binge eating disorder. All I think about is food. I’ve been trying to diet for a long time now but have failed every time because I always end up binging. It makes me feel very sad and uncomfortable at the end. My family just believes I cannot lose weight and say I go ‘mad’ eating. They think it’s a joke but I see it as a serious problem. I honestly cannot control myself when I binge. It’s like I’m a completely different person. I don’t know what to do. Once I flop once I binge and binge. I’ve tried so much. I have a food diary and also try to motivate myself but I am simply not able to stick to it and control myself. Please help me. Not to be rude but please don’t reply with advising me to go to the hospital and seek some help from there or to forget my diet and just eat healthily because i’ve been trying that for the longest time and even that does not work. I saw your blog and it’s absolutely amazing. I feel like I’m safe asking you for help. Thank you so much. By the way, I am a 17 year old female and weigh 60 kg. Plus I haven’t told any of my friends this and don’t want to either. I hear what you are saying Elisa, you feel as though everything that you try fails. That despite your best efforts you keep ending up binge eating. Fortunately, there are many, many, many different ways to recover. And though it’s frustrating, failure always comes before success. Failure and mistakes are what helps you to learn. Every time you do not succeed in recovery, you have the opportunity to try something different- to learn more about yourself and see what does work for you. I would definitely encourage you to consider giving up dieting again. But this time, rather than trying to avoid the binge, tell yourself that you are going to learn from this binge. So when you start to binge, you are going to do it differently, you are going to stay conscious during your binge. Keep your eyes open. Notice what you are thinking, feeling, try to slow the binge down, really taste the food. Is it satisfying? What feeling are you chasing as you continue to eat? Is it fullness? Comfort? Peace? Anxiety relief? Are you tired? What is driving the binge? As you begin to figure out why you are bingeing and what is driving the binge, you might begin to have some ideas about what you actually need. Maybe you need a nap. Maybe you need to walk outside. Maybe you are anxious. Did you know that your jaw is the strongest muscle in your body? Some people binge eat because it relieves all that tension that they are holding. Sometimes closing your eyes, breathing deeply and massaging your jaw can stave off a binge. If you don’t want to keep a food diary, why not keep a binge diary instead. Every time you are about to binge, tell yourself that it’s okay, you’re allowed to binge, but first you are going to write in your binge diary. In your binge diary, write down everything that you are feeling, even if your feeling is just, “I want to binge so badly!” Just stepping away from the binge will interrupt the compulsion, and sometimes, you might find yourself more conscious of what you are needing and feeling. You then might find that you have a choice as to whether or not you want to binge, that you feel as though you are driving the behavior, not that the binge is driving you. When you do decide to binge, make sure to forgive yourself afterward rather than beat yourself up, remind yourself that you are still learning not to binge and how to take care of yourself without food. As for your family and friends, it could take them a while to get it. You might want to sit down with them and tell them that you believe you have Binge Eating Disorder and that you can’t “just stop” that you need their love and support. Show them the wikipedia page that explains it. Explain to them that you don’t need them to criticize you but you need them to check in with you. Ask you how are you doing, ask you what you need, ask you how your day is going, and when you binge, ask you what they can do to support you. You might just need a hug! I understand that you don’t want to tell your friends, but who can you trust? Is their one friend that you can trust? If not, you might want to get some online support. You can go to OA meetings online or on the phone or in person if you can. Even if you don’t want to talk to your friends, it’s crucial to get support. This will help you to be bigger than the binge. The binge feels too big to beat when you are alone with it, but when you shine the light on the monster, it loses it’s strength. Do you have a question about binge eating, bulimia, anorexia, or anything associated with eating? Send an email to bingeeatingtherapy at gmail dot com. All questions will be kept confidential. Include your first name or the name you want to be referred to as and your location. Are you interested in online therapy to deal with your eating disorder? Please see my website or email me to discuss getting started. Do genes make some rats binge on frosting? Hello everyone, I’ve got a big announcement, I wrote a book! Available on amazon starting on March 28th. But it is currently on sale for preorder it now or preorder the kindle version as well. Let me first tell you a bit about my book and then I will explain how you can win a free copy or get a free “stop binge eating” hypnosis download. After working with people for nearly eight years, I began this blog in 2007 to help people who were suffering with Binge Eating Disorder. I realized that there was not a whole lot of help on the Internet. Sure, there are some treatment programs and some therapists who specialize in treating eating disorders. But treatment is expensive. This blog certainly wasn’t meant to be a substitute for treatment, but I thought that for some people, who just totally felt alone and who did not know where to go for help, that this could be a very helpful resource. And so then, in 2009, I began to write the book. Reclaiming Yourself From Binge Eating: A Step-by-Step Guide to Healing. I wanted to write a book that was EASY for people to follow. I wanted to share the stories of the hundreds of people I’ve worked with who have healed their food issues. Reclaiming Yourself is divided into two parts. 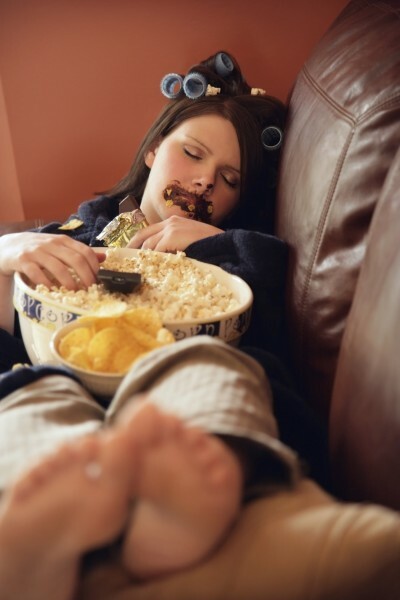 The first part explains more about what binge eating is, and what different types of binge eaters look like (in terms of their habits) and gives a little bit of research into the disorder. The next part, the meat of the book is a step by step program to help yourself stop binge eating. There are 33 steps complete with exercises to help you rid yourself of the disordered eating. I think that some people might find that even just one or two steps might help them a whole lot. The book is designed to be done at your pace. So rather than having to buy it and sit down and read the whole thing at once, you can do a step each week, or each month or as often as you’d like. If you are suffering from binge eating and are working with a therapist who doesn’t understand BED, you can bring it into your therapist and work the steps with him or her. You can work these steps with a good friend, you can make a group or you can even work on them with a 12 step sponsor. This book takes a mind, body and spiritual approach to healing binge eating. There are meditations, journal writing exercises, art exercises and actual practical things that you can do to change your behaviors. The point of this book is to help you stop binge eating for good. HOW TO WIN AND GET FREE STUFF! The book will be out on March 28th, you can pre-order a copy on amazon. If you pre-order a copy, email me your order confirmation and I WILL SEND YOU OVER a FREE Stop Binge Eating hypnosis download, or any hypnosis session of your choosing. Or do all six! Each thing that you do will earn you a free entry! Selection will be chosen by random on March 28th.